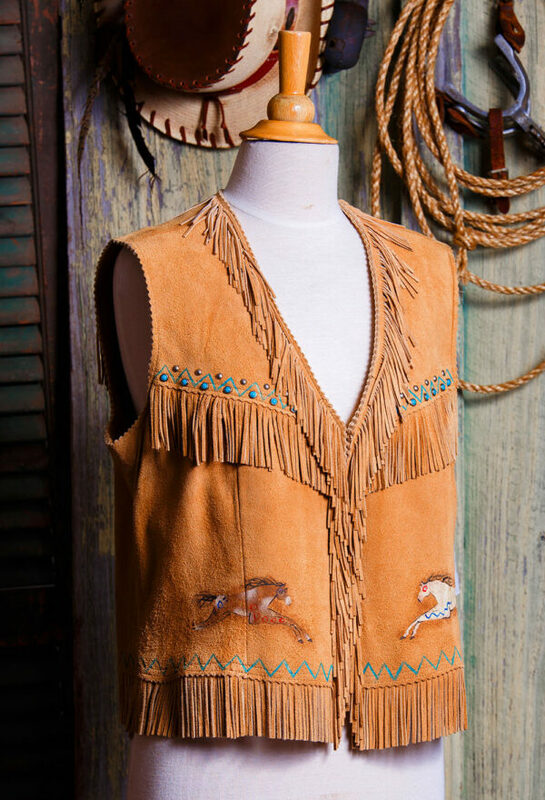 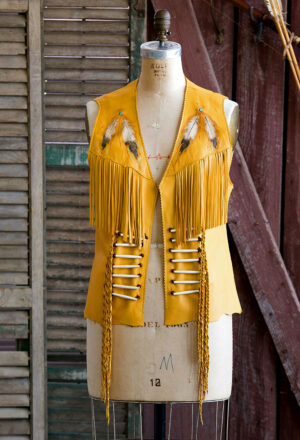 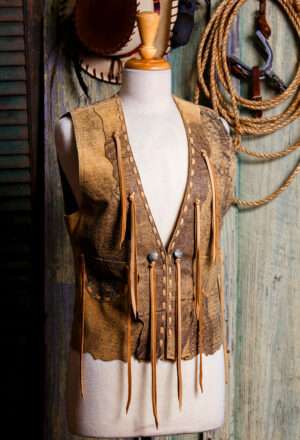 Sadie Vest in Deer Suede. 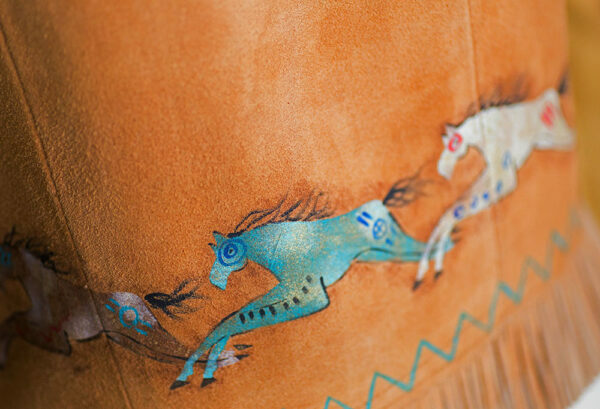 Hand painted in Patricia Wolf’s Cayuse paint with ponies and zig zag borders. 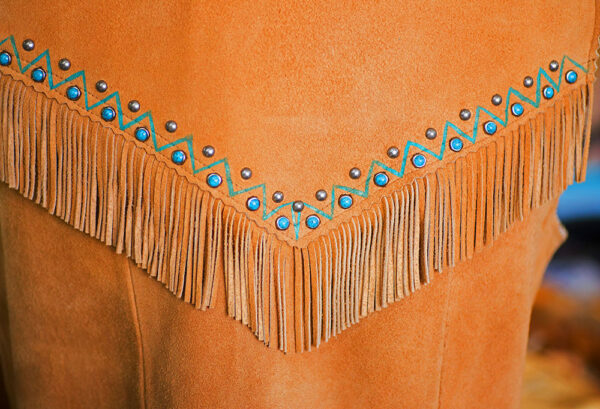 Finished with fringe and turquoise colored stones. 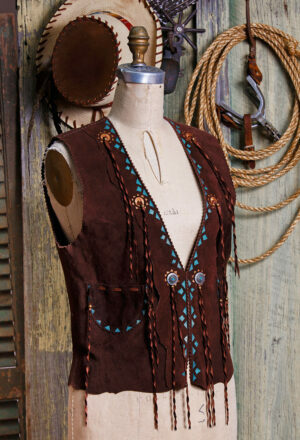 Vest has a relaxed fit and hits at the high hip. 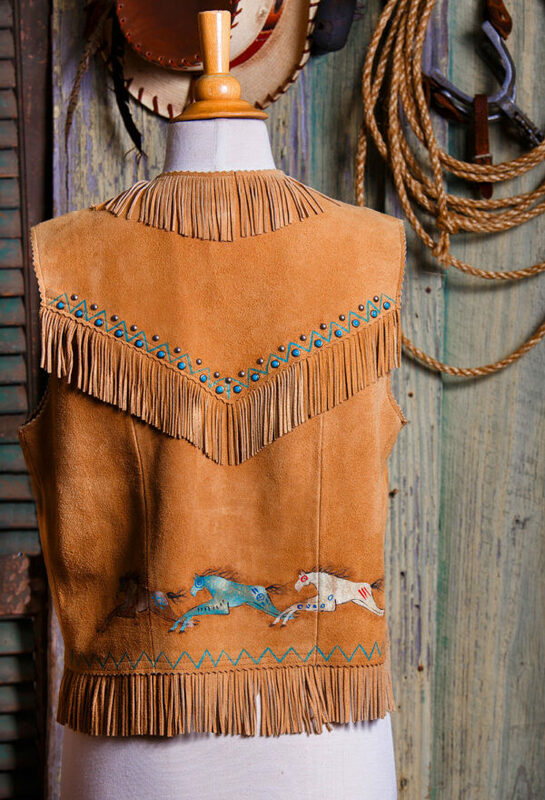 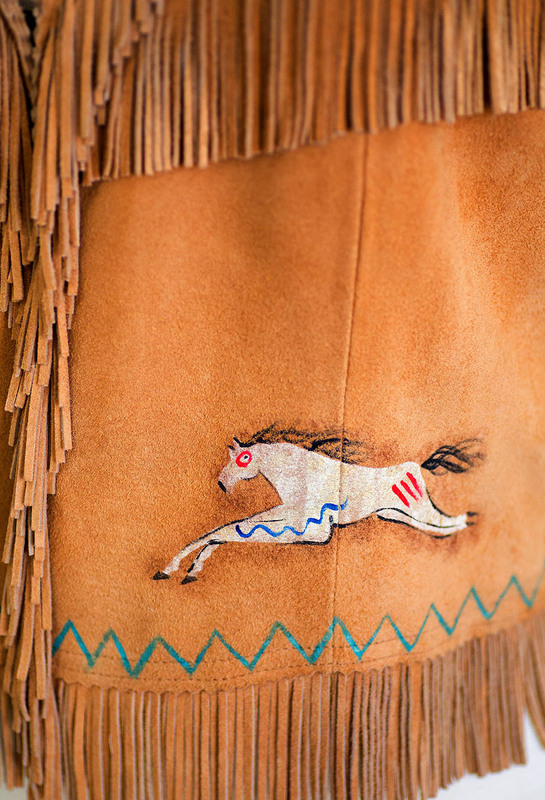 Shown in Butterscotch deer suede.